Some productions wait until the end of the show to dispense Playbills. TRUE WEST should be one of them. For there’s information in the program that will make early-arrival readers wish they hadn’t discovered one detail. Had they no prior information of this certain ingredient of Sam Shepard’s play, they would have gasped and laughed when it was revealed. That’s what should always happen. So when you attend TRUE WEST – and a visit isn’t a bad idea – keep that Playbill closed. Talk to the person you brought. If you came alone, start a conversation with the person next to you. That way, you’ll both be delightfully surprised. Austin is writing a screenplay, which is never easy. But he’d be having an easier time of it had his brother Lee not come to visit. Says Lee “You go right ahead as if I wasn’t even here.” Yet this under-underachiever with nothing in his life has a big way of starting a conversation with small talk. After too much of it, Austin says “Huh?” – all to tell his brother that he hasn’t been listening, all in hopes that the guy will take the hint. Austin’s later “So you don’t know how long you’ll be staying?” ups the hint-ante. Lee indeed gets what his brother’s been implying. Yet the chance to needle Austin isn’t one to be squandered. Jealousy? Sure. Two nothing-in-common brothers have a more-than-usual-amount of sibling rivalry. And yet, Shepard includes an exchange where each brother expresses his envy of the other. That’s inevitable when one has an abundance of brains and one has the brawn. One of Broadway’s most famous librettists-lyricists said of his two offspring “Both of my sons together would make one good man.” That seems the case with Austin and Lee in this tale that’s as old as Cain and Abel. Austin just can’t win with Lee. An offer to make him breakfast results in his saying in an annoyed voice “I can take care of myself.” An attempt to loan him money makes him literally ready to punch out Austin. Lee sees it as an implication that he’s destitute and Austin isn’t. That’s probably true, but Lee doesn’t want to be reminded of it. No, don’t mess with this messy guy. And yet, there’s good reason why Austin can’t give the bum the bum’s rush – although telling why would divulge a detail tantamount to a pre-show reading of that Playbill. Although annoyance isn’t a good enough reason to call the cops, Lee’s illegal activities (and we don’t mean victimless crimes) are. So why doesn’t Austin pick up the phone? Sure, he’s scared of the guy, but we’d like – and expect – that the brains of this operation would find another way. First and foremost, Austin must get rid of Lee at least for the afternoon because he’s expecting a high-powered film executive to visit him. Much is riding on this meeting where he’ll show how his screenplay is coming along. Wait – do you think that Saul, a film producer with the power to green-light projects, would trek out to a suburban California home to meet an untested writer? Executives love the home-field advantage; there they can sit behind a big desk on which they can rest their feet in a chair worthy of HOW TO SUCCEED’s original logo. This way, they can intimidate mere writers who are relegated to far more modest chairs. Why doesn’t director James Macdonald have a downstage mini-set with Austin and Saul in a small pool of light with the main set clothed in darkness? We’ve become accustomed to such a cost-cutting move. The reason is clear: Shepard needed Lee to barge in on the two so that he could pitch HIS idea for a movie. Keep in mind that Shepard never envisioned Lee as a fashion plate: “Filthy white T-shirt, tattered brown covered with dust, dark blue baggy suit pants from the Salvation Army” he ordered, and costume designer Kaye Voyce has delivered a variation not far from that theme. As a result, would you believe that Saul would make a golf date with this derelict – or that he’d remotely listen to the story he wants to divulge? Hollywood execs learn early on how to ignore anyone without a track record who says “I’ve got an idea for a film …” – let alone one from a person who looks like The Wrath of God. That Saul takes him seriously is unbelievable … unless, unless –Shepard’s point is that anything insane could happy in crazy Hollywood. But is there a limit to “anything”? Soon Saul is offering Austin $300,000 to pen a first draft, which the writer refuses. Shepard may well have assumed that having Austin immediately jump at the money would be too trite; the message that we’re all whores where money is concerned was threadbare even when Shepard wrote TRUE WEST in the very early ‘80s. And yet … $300,000 was a lot of money then. And, as an inflation calculator will tell you, it means $866,000 now. It’s a play where the theme’s the thing. Masculinity is measured in criminal activity. The tables get turned both literally and figuratively. Some of the stories are dogs, albeit of the shaggy variety. Macdonald has a good sense of how to build both the stakes and the excitement. Gary Wilmes seems a bit too nice as Saul, but because he has one scene, he doesn’t sink the venture. As Lee, Ethan Hawke looks grizzly and oh, can he guzzle. From 1850 to time of the play, California had a mere six hurricane-level cyclones. Hawke makes it eight. He doesn’t just look like the aforementioned Wrath of God – he acts like one as well. Austin would seem to be a thankless role, given what Act One has him do — or NOT do. Most of that time, Paul Dano must type, listen to Lee and bear his indignities. However, Shepard had a sharp way of having him dominate the stage in Act Two. It’s a simple solution but an apt one which Dano plays superbly. Roundabout is often criticized for depending on the kindness of seniors as its ticket-buying audience. Such Golden Agers are often accused of being unadventurous, but the Wednesday matinee audience gladly went along for the ride. It is a younger person’s play, however – and in more ways than one. If the often-held belief that millennials aren’t inclined to read is true, then they may enjoy TRUE WEST even more. Peter Filichia is the former New York-based theater critic for The Newark Star Ledger newspaper in New Jersey and New Jersey's television station News 12. Filichia has two weekly columns at Masterworks Broadway and Kritzerland, and also writes regular entries for the Music Theatre International Marquee blog. 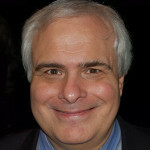 He has authored multiple books on Theatre and has formerly written for the websites TheaterMania.com and BroadwayOnLine.